For Class I’s, successful operation means maximizing efficiency, especially in their rail infrastructure assets. Freight railroads require rail infrastructure solutions that are cost effective while providing suitable performance. 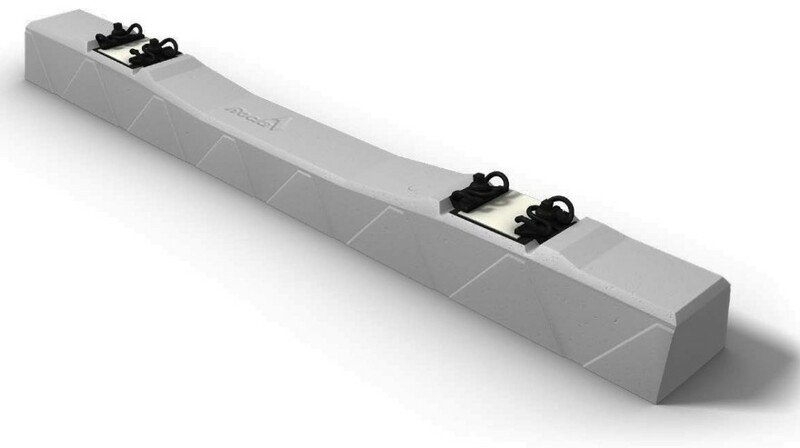 In addition to performance and reliability, Rocla concrete tie solutions are cost effective which is critical to the success of our railroad customers. We design each tie to meet the needs of the specific project, taking into consideration speed, freight tonnage, and geographic characteristics. The Rocla Yard Tie is the most cost effective solution for less demanding freight applications, providing suitable performance for yard and mainline applications characterized by lower speeds and tonnage. Rocla Yard Ties have been engineered to provide the most cost effective solution for less demanding heavy haul applications. The Yard Tie is installed in applications for Class I Railroads where mainline tonnage and speed is not required. The Yard Tie can be spaced from 24"-28" providing the lowest installed cost for less demanding conditions over all other track material. Tie Spacing: 24" - 28"